888.com was one of the first established online sportsbook founded back in 1998. 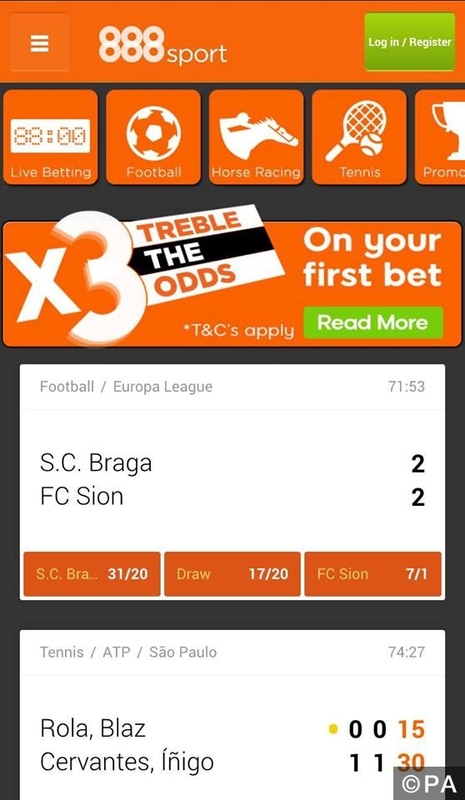 New customers can treble the odds of any bet in any market! They also have some of the best odds around which means more profit for you! It is also home to the largest and most trusted online casino and poker room on the internet. One of 888 best features is how good their odds are. The better the odds, the more money you can make on a wide variety of sports. Football accumulators are a huge part of Football betting and 888 sport make it easy to get your accas on for the weekend. 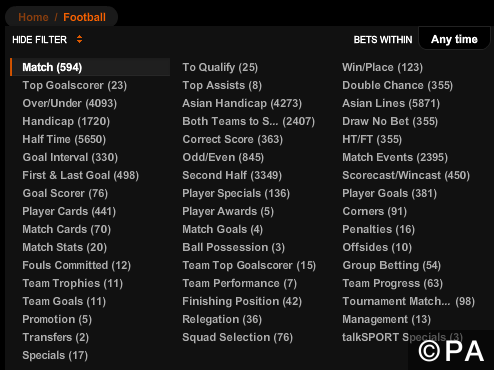 At the top of the Football betting section you can see a huge range of coupons. This makes putting your accumulators on quick, simple and stress free. 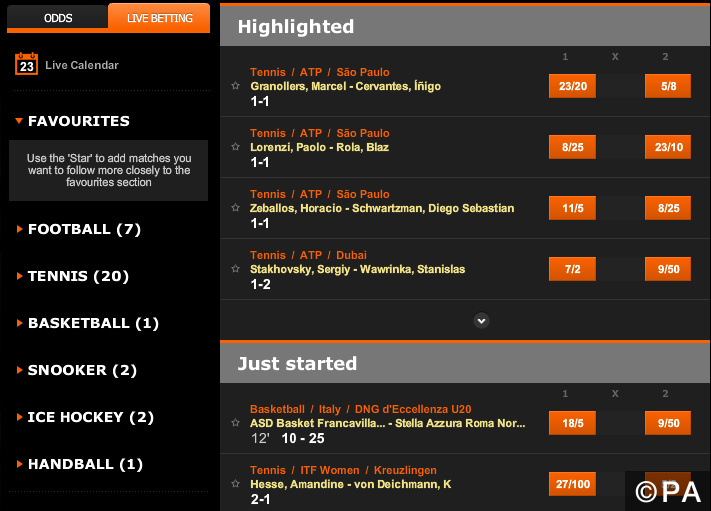 The 888 inplay console is easily accessible from any page on the website. Simply select your sport then game you want to bet on. You’ll then find all markets broken down into sub headings so you can quickly place a bet. 888 offer instant betting markets which are 5 minute markets such as who will win the next throw in or corner. Those of you who love the thrill of an in play bet and don’t want to wait a long time for the outcome will love these markets. Bet on any live event with 888 and you’ll be able to cash your bet in for a profit or loss depending on how the game is going. 888 let’s you be in control of your in play bets. 888’s mobile app is very simple and easy to use. It’s been developed recently to help fix the speed of the app and crashing problems it had on recent versions. You can see from the image below how simple the layout is and your favourite sports are right in front of your eyes. Customer support is available 24 hours a day, 7 days a week via phone, email and online live chat. Support is available in 11 different languages so if you have a query you’ll get a quick response whatever time of the day. All cashout requestsare processed within three business days from the date of the request. Once your withdrawal has been processed, you can expect payment within 1-2 days through Neteller, PayPal, Skrill, Webmoney, Click & Buy and Moneta. Credit and debit card withdrawals usually take between 3-5 days longer so if you want your cash quickly we suggest using PayPal, Neteller or Skrill.